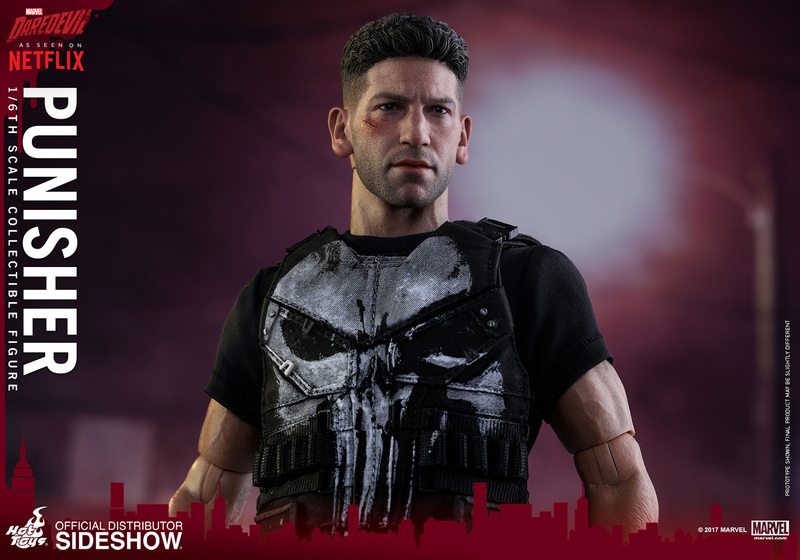 In Marvel’s Daredevil, a Netflix Original Series, war hero Frank Castle’s life was changed forever when his family was brutally murdered before his eyes. 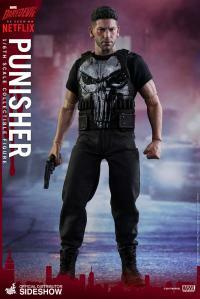 Taking matters into his own hands, Frank decides to avenge his family’s death by eliminating all those responsible. 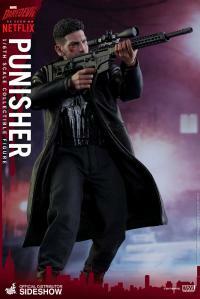 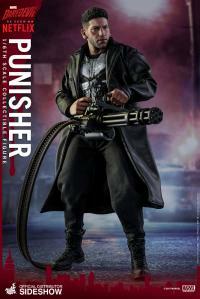 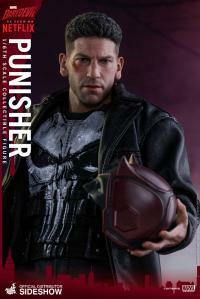 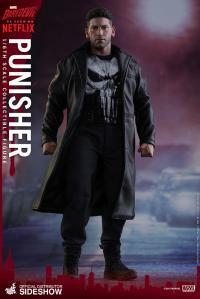 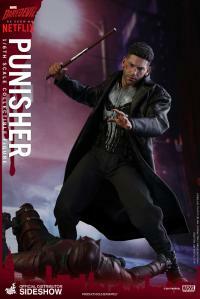 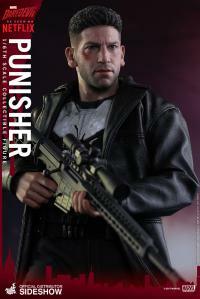 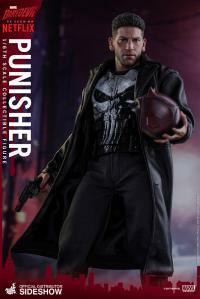 Lethal with his methods, Frank becomes a notorious vigilante in the criminal underworld earning the moniker – The Punisher. 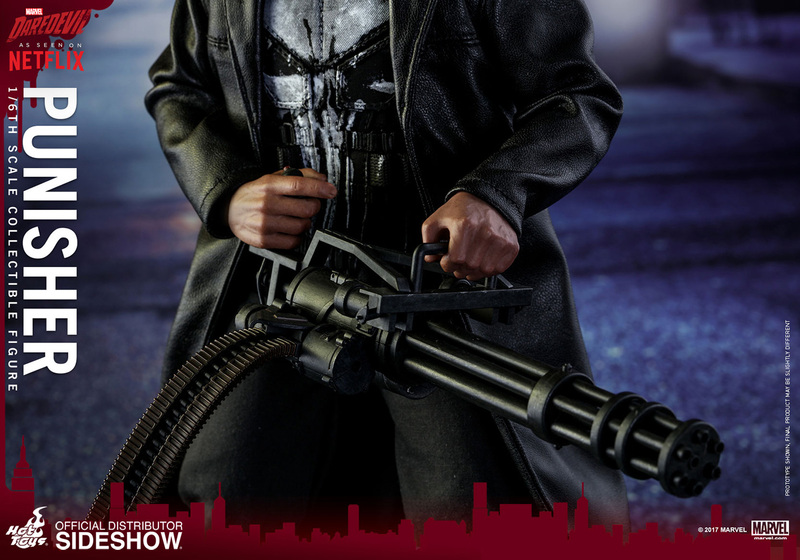 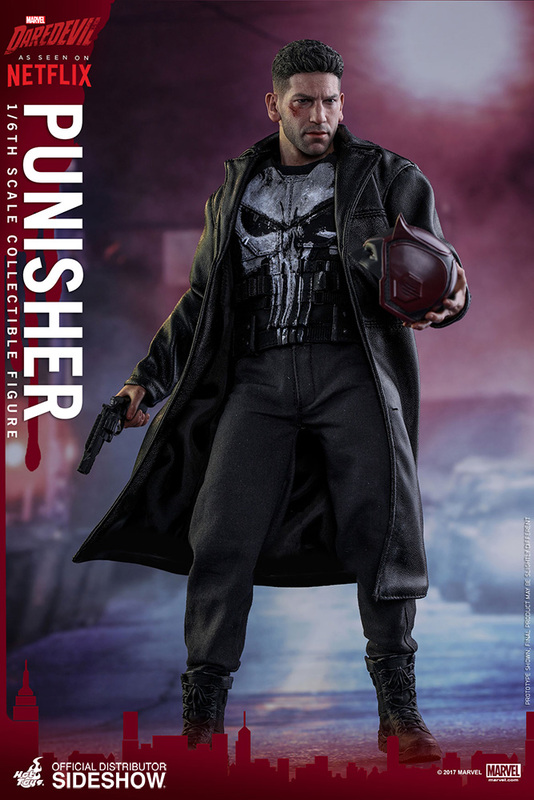 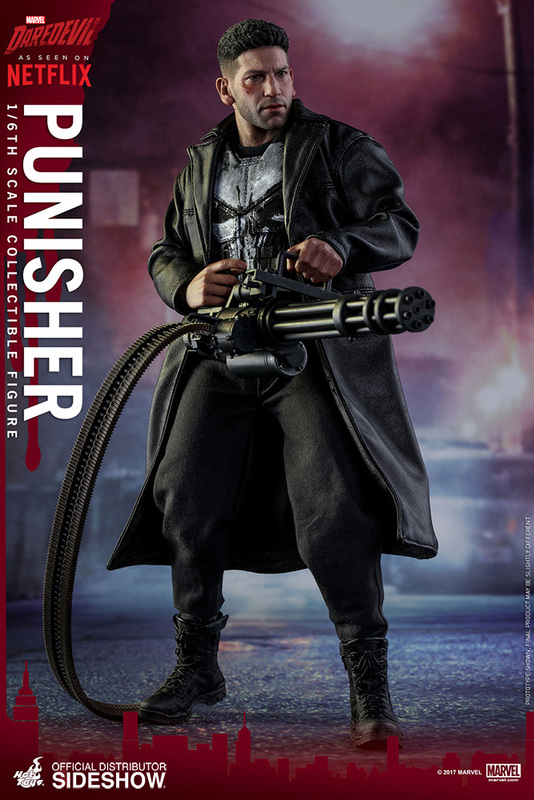 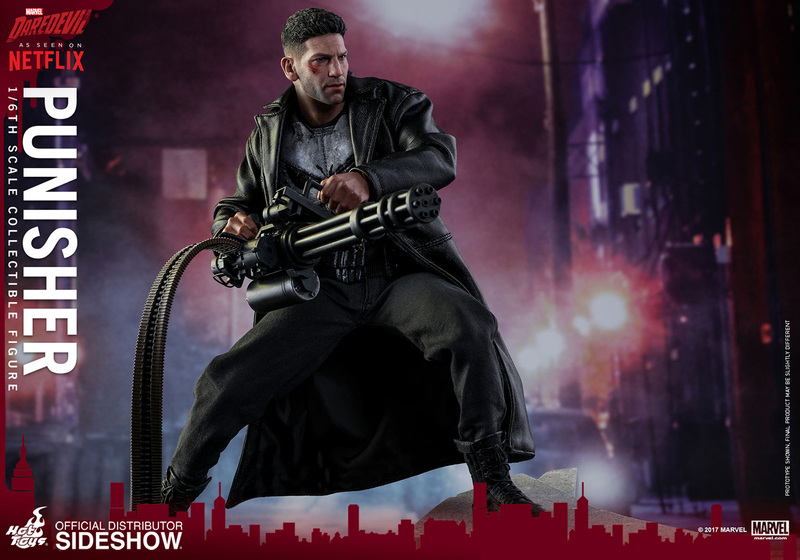 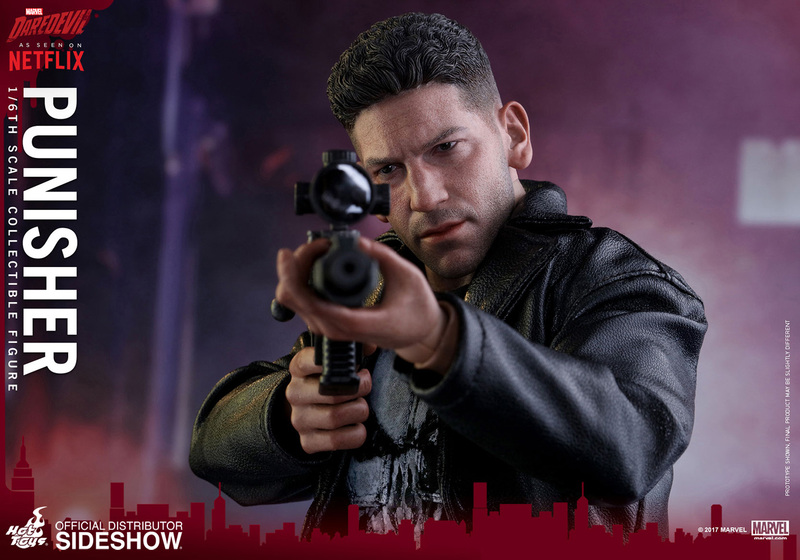 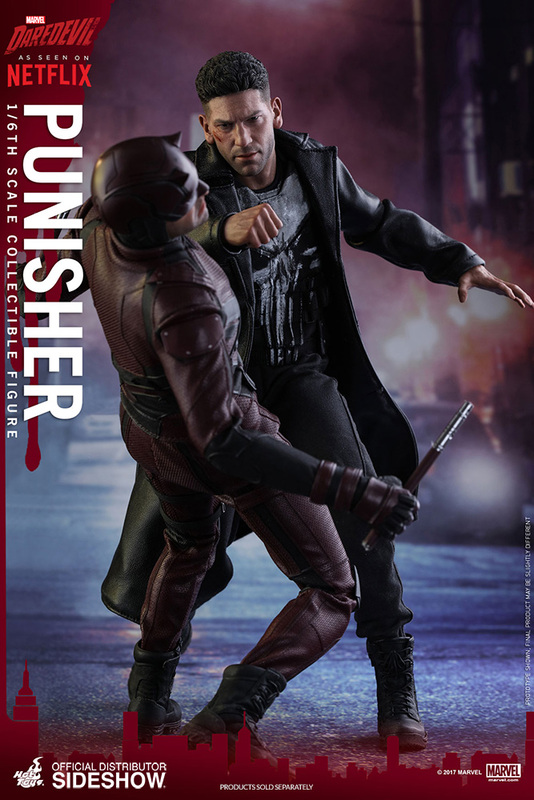 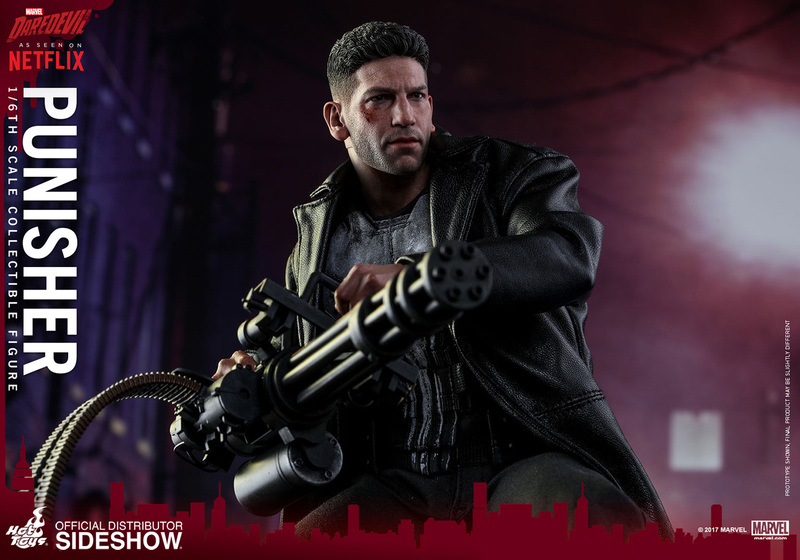 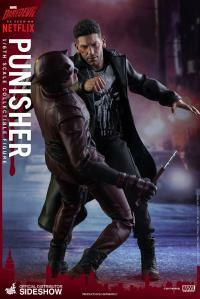 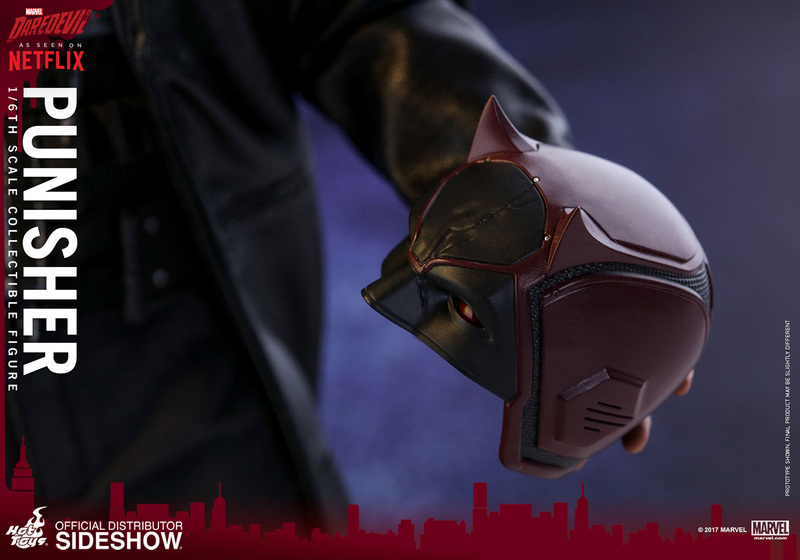 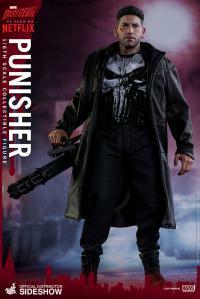 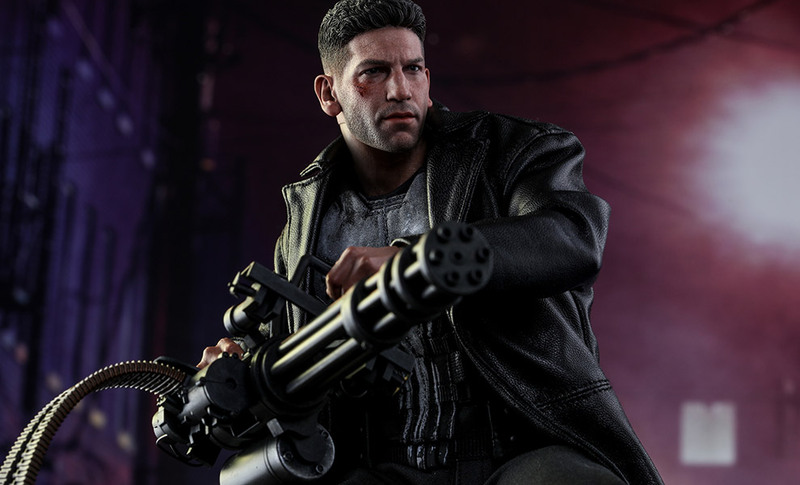 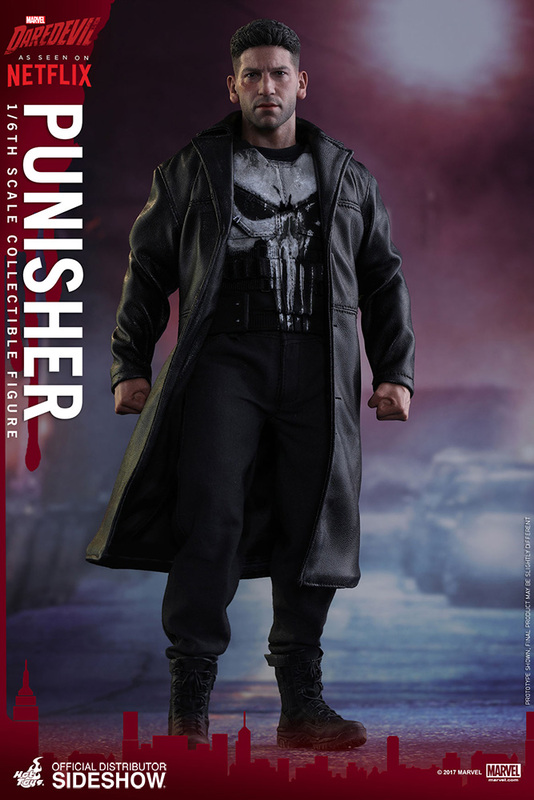 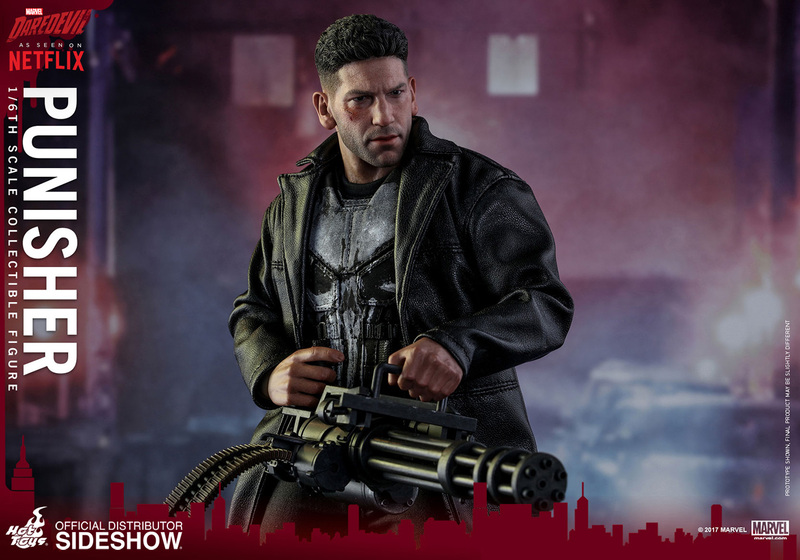 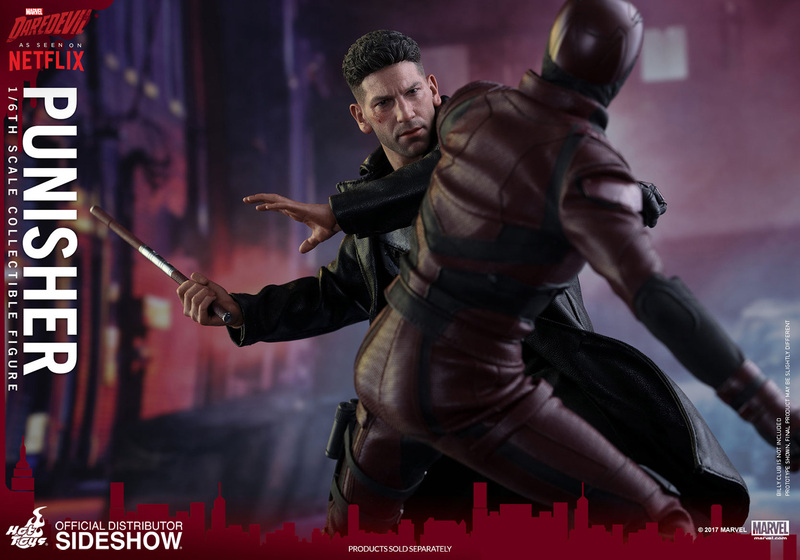 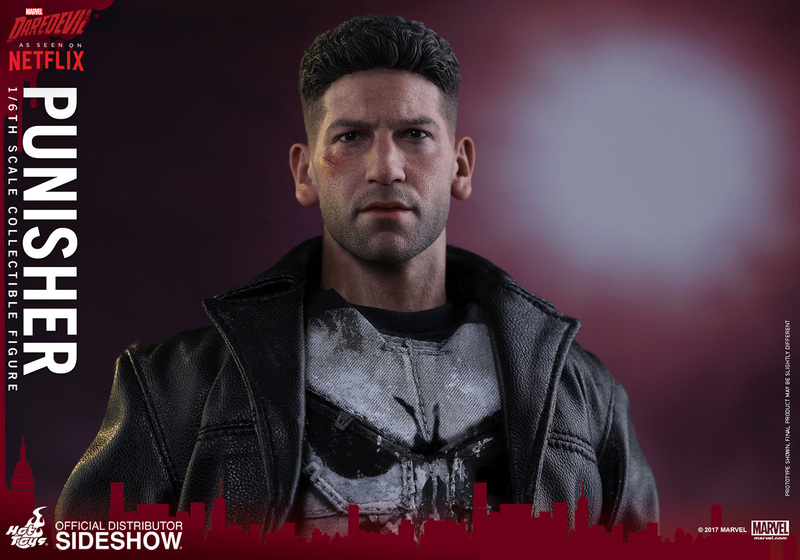 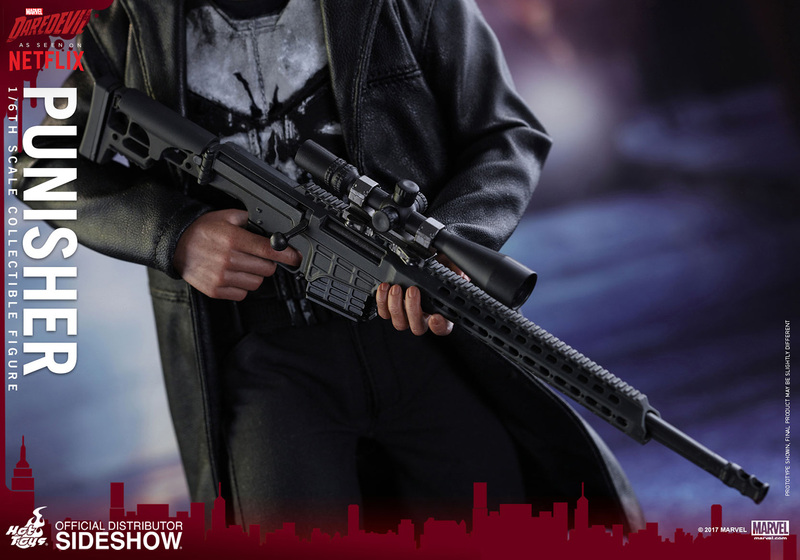 Sideshow and Hot Toys are extremely excited to bring a new addition to the Hot Toys Marvel’s Daredevil collectible series and officially introduce the sixth scale Punisher collectible figure! 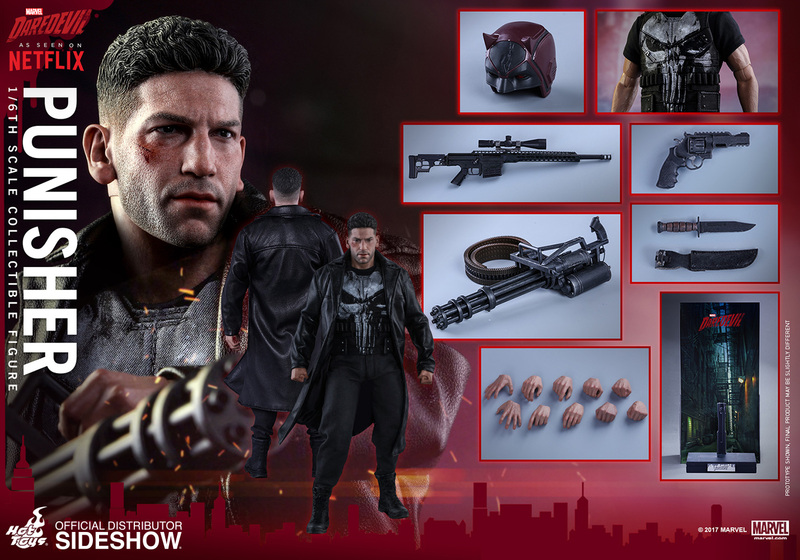 I dont think I will part with this one. Great face sculpt. 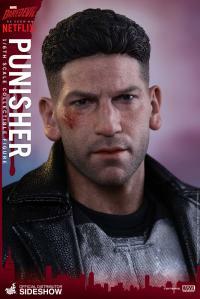 This is the Punisher! Before his arrival, I didnt plan on buying Daredevil. 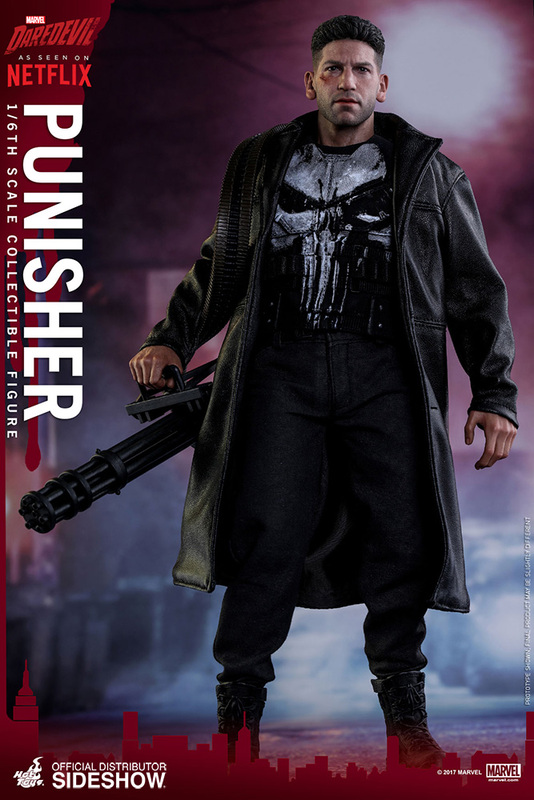 Now, I will so that he stand side by side this one on the shelf.